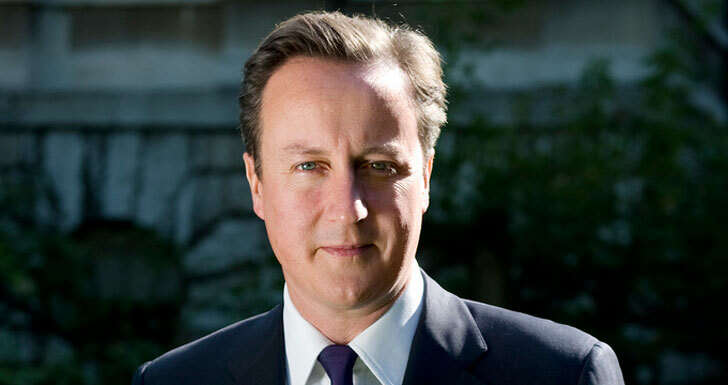 On Friday (21 August) Prime Minister David Cameron outlined the Government plans to increase the number of quality apprenticeships across England and give businesses a say on how they are run and what they offer. Employers across the country will be asked for their views on the introduction of an apprenticeship levy set to be introduced in 2017 and designed to increase investment in training and apprenticeships. Other steps include a requirement to take a company’s apprenticeship offer into account when awarding large government contracts and publishing new ‘industry standards’ so that apprentices have the skills that companies need. Transport Secretary Patrick McLoughlin also announced his ambition to boost apprenticeships across the road and rail industry, pledging 30,000 apprenticeship places in the sector during the lifetime of this Parliament, with help from a transport strategy led by Terry Morgan, Chairman of Crossrail, building on the 2.3 million apprenticeships created under the last Parliament to make sure that young people have the skills and expertise that employers demand. The amount that UK businesses have invested in training has fallen consistently over the last 20 years and UK productivity now lags behind other major Organisation for Economic Co-operation and Development (OECD) countries. Employers are now being urged to give their views on plans for an apprenticeship levy to boost investment in apprentices and skills training and make sure it meets their needs. Under the proposed approach employers who put in funds will have direct spending power over it. Levy systems already operate in over 50 countries, including Netherlands, Denmark and South Korea, and are designed to ensure every larger company plays their part in investing in the future generation of apprenticeships. The levy is intended to help cement the government’s aim to build a world class apprenticeship system, led by employers. A consultation process with employers is now underway. From 1 September 2015, all bids for government contracts worth more than £10 million must demonstrate a clear commitment to apprenticeships. In particular, employers’ bids will be reviewed in line with best practice for the number of apprentices that they expect to support. The move is aimed at widening the scope of businesses offering apprenticeships, and with more than £50 billion a year spent on government procurement contracts, will provide a significant boost in apprenticeship numbers. In the latest of a series of steps to drive up the quality of apprenticeships, 59 new apprenticeship standards developed by Trailblazer groups of employers and businesses have been approved and were a part of the Government announcement. The ‘industry standards’, which cover a range of professions including nuclear engineers, fashion assistants, live event technicians, personal trainers and welders will outline the skills apprentices in these roles are expected to have to meet the needs of employers – all part of government’s commitment to see through the reforms that they hope will build a world class apprenticeship system. Responding to Friday’s announcement by the Prime Minister, Ben Willmott, head of public policy at the CIPD, spoke positively of the plans, but warned that the focus on the number of apprenticeships could be dangerous. 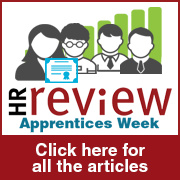 “It’s important that the introduction of an apprenticeship levy is used to focus on increasing the quality of apprenticeships and not just the numbers, which means that this investment by large employers should largely be reserved for the creation of more Level 3 and above apprenticeships,” said Wilmott, “The CIPD’s research on graduate over qualification published this week showed the high proportion of UK graduates in non-graduate jobs, emphasising the importance of developing more high quality vocational routes into the labour market – a high quality apprenticeship system is central to achieving this. “Apprenticeship schemes can play a part in meeting important ambitions to boost skills and drive-up productivity. But for apprenticeships to take hold and become established, the focus should be on quality – not hitting an arbitrary figure. The conveyor belt model is not what business wants to see.